This is a colourful and comprehensive look at Canada's Arctic. It has been written by Ken Burton, the captain of the RCMP vessel that circumnavigated North America in a patrol boat in the year 2000. Burton has been back to the Canadian section of the Arctic many times and has studied and photographed the area extensively, met many of the local peoples and researched backgrounds, histories and current activities. He has travelled on cruise ships and acted as a guide for those who have accompanied the vessels during their summer excursions through mostly ice-free waters. He will be continuing his visits to the Arctic and will be hosting a number of presentations and slide shows on the area. 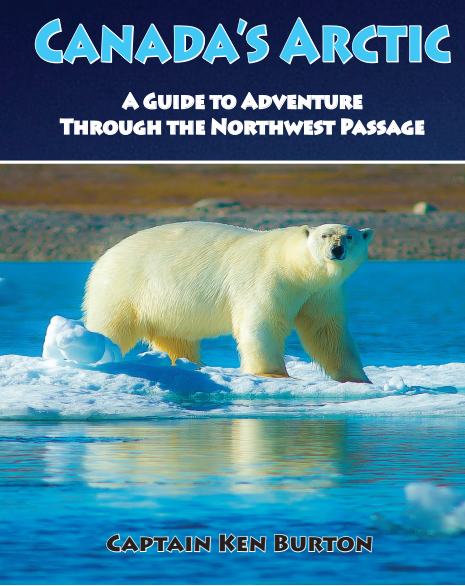 It opens with a voyage around Alaska to access the Northwest Passage leading to Canada's Arctic, Nunavut and a side trip to Greenland's western shore.